Forget about getting a low-ball offer from a potential buyer of your business. How about a “no-ball offer” for your business? It happens more than you think. Thousands of businesses each year go unsold. Many of these are simply too small, too dependent on the owner to survive, or simply have run out of stream. But these are not just mom and pop businesses either. Even larger and more established businesses don’t find buyers. You can find dozens and dozens of articles, blog posts, and videos trying to get their arms around the “why.” Studies, surveys, and polls all cite to this growing Seller’s abyss where some say a mere 20% of all businesses listed are sold, where 50% of purchase agreements never close, and where 90% of buyers don’t’ find the right business investment that makes the cut… Add to a seller’s challenge the coming wave of Baby-Boomer business owners all looking to cash out and retire in the next few years, all flooding the market, and looking for buyers at the same time. Sound scary? Imagine after a year trying to sell your business you later find out too late that your business was in the abyss after all. And given a chance to go back in time and take a closer look at why, you learn firsthand the reasons. You discover that businesses across the board, from those with annual sales as low as $100k to as much as $100M and higher can fail to find a buyer to take the business to the next level. If so… you’re in the lucky green Ready-to-Sell column on the left. But if you’re not green, or if some measures are green and some are not, take some time to evaluate and improve the Sellability of your business before you call your broker and expect miracles. According to Pitch Book, which tracks companies sold to Private Equity groups, seller multiples in 2016 are at their highest point since 2013. Making this year a strong market for strong companies and owners looking to sell. And who doesn’t like selling at the top? So study this chart, and learn more about these simple measures of how well your company and management team measure up to what buyer’s expect most. Because when a business falls into the abyss, you can almost always find the “why” somewhere on the right hand side. We all make them. Dozens, maybe more each day, they are OUR “DECISIONS.” And they have become increasingly risky and important to all of us, but even more important if you’re a business leader, leading a global-reach company. And here’s why. What were fewer key decisions needed to be successful decades ago are today a plentiful minefield. Think about the consequences of a failed merger, or acquisition. Not good. How about a failed product line launch? Yikes! And maybe the worst: A failed manufacturing plant expansion. Serious stuff, right? As a CEO advisor, I hear about these exact concerns — of success vs failure — from business leaders who understand the consequences, and yet still find themselves compelled to make important decisions without even a basic framework to help. For some it’s like playing Black Jack in Vegas, for others it’s “analysis paralysis.” Whichever way you think is better, in today’s globalization world, the widening gap between them suggests we find a useful middle-ground way to bridge the gap, and fast. Think about this. One of the most fundamental things a human being does in the course of a lifetime is ‘choosing stuff.’ We love it. It seems nearly everything we do, every move we make is a Choice. Like a virus, it’s taken over. “Making Choices” is now so pervasive to have infected nearly every culture and business worldwide. And we can thank the internet, and perhaps anyone under 30 years old with a smart phone. Which for all the great things they bring to all of us; they also bring an addiction to the need for speed, and the pressure that comes with making ‘snap decisions’. Decision or Choice: Which is it…? Find any ones you like, or can specifically remember? There are literally 1000s of such events which over the course of time, the birth of the internet, and speed of social media developments that have to some extent seemingly conspired together to significantly blur the lines between Decision and Choice. Isn’t making a Choice, though, the same as making a decision? Kinda, but there is a big distinction: A DECISION is something you “made” a long time ago, a contemplative analysis and review of the situation… whereas a Choice is the act of implementing the decision. For example, we DECIDE to get married, but we chose our spouse. We decide to buy a new car, we choose the red one. We decide to grow our business, we choose where and how. Make sense? Choice is the Who, What, Where, When and How… while Decision is the WHY. So think about it… if you make a decision without objectively contemplating the “why,” you are unconsciously making a potentially hazardous ‘snap decision,’ putting “Choice” before “Decision,” and that can be seriously dangerous in business, or in your personal life. As you can see, a Decision Ring is a simple 6-step circular process, and even if you never get past #1, ask the most fundamental question supporting any major decision; “Why the heck are we doing this?” Because by asking “why” at the very beginning of any decision (or Choice), regardless of how much time you have to pull the trigger, if you can slow the contemporary urge to do so just long enough for a second guess – you just might take back what so many leaders in history wish they had. We all know the statistic. Ten thousand Baby Boomers turn age 65 each day according to the Pew Research Center. And of those many thousands who own businesses, a day of reckoning is coming. Do you know what the leading concern is among wealthy Americans heading into retirement? It’s not growing their wealth for the future; it’s preserving their wealth for family and philanthropy. Sound familiar? If it does, and you own a business, you will likely leave money on the table when you sell or exit the business unnecessarily, why? Because most business owners don’t really know how a buyer thinks, and how they value the individual pieces of a business. Consequently, as each piece is measured and evaluated, the chances of finding weaknesses that can lower the value of the business grows. The more weak spots identified, the greater the gap between buyer and seller. As we know, the first stop in any good exit plan should include your wealth planning and estate professionals. While most can offer dozens of ways to grow your post-sale proceeds in a retirement plan, that still leaves a huge need to help business owners identify weak spots that can reduce the value of their business “nest egg” before a buyer does. And just like developing a financial planning retirement roadmap after the sale of a business, the best way to uncover value-drains in your business is to prepare a Pre-sale Business-(performance) Review. This way, while you’re still in control of the business, you identify and fix problem areas before you do decide to go market. What’s in a Pre-sale Business Review? The first thing to understand is that, like buying a house, the price or value of the property is only partly based on market conditions, the other part is “in the eye of the beholder.” This means that despite market trends or conditions, you and a best-fit buyer might not see eye-to-eye on the value of your business. And that is a bad place to start negotiations for more. If a big chunk of business valuation is “perception,” for a business to sell at a premium price it needs to truly demonstrate today a compelling ability to stay competitive and increase profits in the years to come. 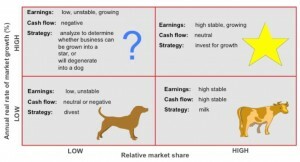 BCG Matrix: This matrix developed by the Boston Consulting Group decades ago is still a useful tool today to help breakdown and position a company and its products within one of four quadrants: a Question Mark, a Star, a Cash-Cow, or a Dog. Nearly any business, division, product line, customer segment, etc, or an entire industry can be measured and placed somewhere on a BCG matrix like this one. But while the exercise is quick and easy; the results are hard to change quickly. This is why if you find something you own is a DOG, unless it’s fury with four legs and a tail, it needs to go. 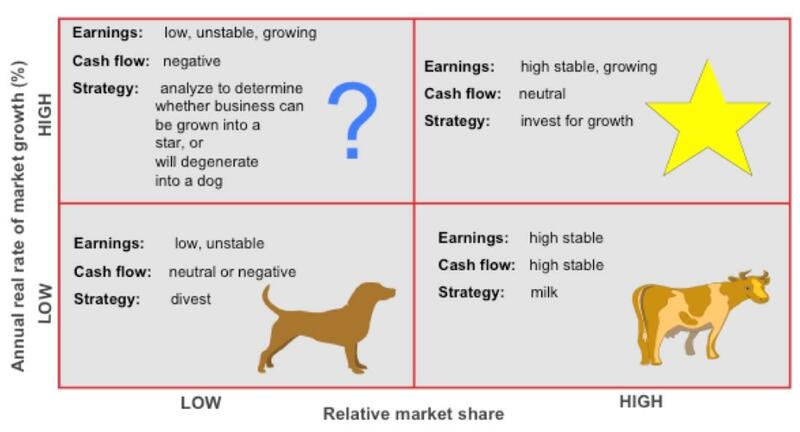 Investment time, money, energy resources, you name it should all focus instead on sustaining high margin products or services, like Stars, while forcing all Dogs and Question Marks to beat their cost-of-capital to survive. Taking this action before taking your business to market can substantially improve a buyer’s perception of value. Quality of Earnings Report: While having fully audited financial statements is a best practice 3 to 5 years leading into a business sale, another less costly measure is a Quality of Earnings Report. Most accounting firms that do Audits can also do a QE analysis. In fact, a significant component of a sophisticated buyers Due Diligence investigation of a targeted acquisition is a detailed review of earnings and expenses. But most business owners don’t engage a firm to conduct a QE. Owners don’t see the cost/benefit until it’s too late. However, a well done QE report will explain where a company or product should be placed on the BCG Matrix. And taken together the BCG Matrix and a QE report can thus specifically help a business owner (years in advance of a sale), identify and nurture strong revenue drivers, while shedding the weaker ones that influence a buyer’s perception of value. 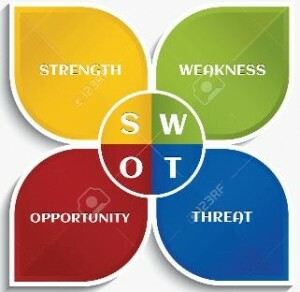 Management Team SWOT: Strengths, Weaknesses, Opportunities, and Threats make up a SWOT analysis. The idea behind a SWOT analysis is to breakdown and categorize the key characteristics of any organized system into four groups. While similar to the BCG Matrix, SWOT also identifies both internal and external issues facing a business. In this case a Management Team SWOT summary can flush out areas where Huma n Resource investments need more attention. For example, is a lower performing corporate division a result of a poor product line, or poor management skills? A buyer could easily ask you or your investment banking team for a senior staff SWOT analysis during due diligence. But why wait until then? Do a Management Team SWOT now, in advance of your exit. Be honest with key staff, and be ready to make changes now while you are in control. Most buyers will look to weigh the pros and cons of your management team’s skillsets heavily in their value calculation of your business. Top-drawer sellers know the contribution margins of their key managers. But many other business sellers don’t, and that can result in a major discount to value on exit. So take the initiative and implement a Management Team SWOT program that incentivizes leadership, sales growth, and customer satisfaction. The folks at White Rock Consulting for instance took a deep dive on Personal SWOT analysis which gives you a good idea of how to measure executives and staff strengths and weaknesses before letting a buyer surprise you to the downside. Most importantly included in a Management Team SWOT analysis will be the big question. Who will replace you, the owner? And how will that person likely perform? Grooming younger managers to step up too quickly can be a costly mistake. Most buyers want a high performing team, and when they find one, they are generally willing to pay up to keep them. So make changes far enough in advance of your exit to allow key managers a chance to perform at industry-best levels. 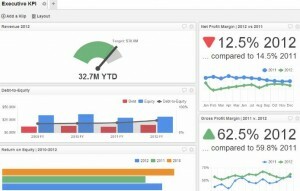 Executive Dashboards: Tracking Performance Metrics has always been a significant use of resources. Regardless of how many years away from retirement you are consider implementing an Executive Dash Board (EDB). This does not have to be an expensive software commitment. But by having a robust and accurate EDB process alone indicates to buyers your commitment to knowing your numbers. This includes having access to data a few clicks away such as EBITDA margins, gross margins, product margins, inventory turns, customer turns, and budget forecasts. Each industry has its own set of common benchmark performance metrics that it values most, and a buyer will know them too. Even more, a buyer may know your competitors’ performance metrics and how they benchmark against “best practices” in the industry. A good EDB software package is well worth the investment pre-sale because it can track (in near real time) dozens of KPIs (key performance indicators) and can help executives make better decisions more timely and effectively. If you already have an EDB your company is already ahead of the game, and can be perceived as having a higher value. Document Key Processes: Anything that makes it easier for a buyer to acquire, manage or integrate your company into theirs is a value-driver. But sadly, in many cases smaller company owners don’t document key process steps. Most don’t know how important this value-driver really is. And for these owners the risk of losing money increases everyday as key staffers who quit, can take an undocumented best practice process with them. This is very common and owners should be advised to create work manuals and map all process steps far in advance of a sale. Doing so will give buyers the confidence needed they can repeat your processes and grow profits into the future. Lastly, while most sellers already know the key value-drivers in their business, most will still benefit separately by taking the time to measure the future today using a Pre-sale Business Review that includes these time-tested strategic tools. The important thing here is to key in on the value-drivers that buyer’s in the market are looking for in order to grow and perhaps double sales in as little as a couple years. 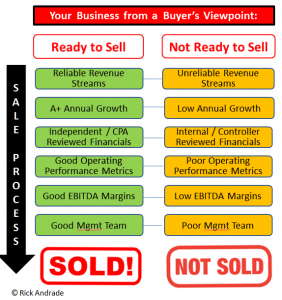 So ask yourself…Is my business ready to be sold just because I am ready to sell it? Your investment bankers who are active in the market will better know which performance and profitability metrics come first in the eye of buyers. So seek their advice, because if you are among the thousands of baby boomer business owners turning age 65 every day in 2016, the benefits of a few simple tools in a Pre-sale Business Review can substantially increase the amount of cash you take with you on that day of reckoning. Make sense? Rick Andrade – Los Angeles, Ca. On December 8th 1941, a day after the Japanese attack on Pearl Harbor and other Pacific islands, then President Franklin Delano Roosevelt decided to officially end America’s isolation from the growing war in Europe by signing a declaration of war on the empire of Japan. At the time, that historical decision seemed to be a no-brainer. America was attacked, 3500 people were killed and the American public wanted payback. But there must have been much more to that decision than a few chosen words in the heat of passion. Have you ever wondered what key decision principles FDR considered before making that fateful decision? Did FDR use a personal decision-making process, or merely a list of Pros and Cons developed by his advisors to help quantify the long term risks of war? On January 14th 1914, Henry Ford suddenly announced that he would double the daily wage of his factory workers from $2.34/day to $5/day. Many said Ford was crazy, that the increase cost of labor would bankrupt the company. But Ford was somehow convinced in his mind that the new wage would reduce turnover rates, reduce cost, and increase the output of auto production. A man of deep contradictions Ford wanted perhaps most to enable his own workers to actually afford the autos they made. But while every other auto manufacturer was trying to reduce the cost of labor, Ford’s decision put the company’s future on the line. And by the end of the following year in 1915 Ford’s sales went from 300,000 units to more than 500,000 units, and by 1920 sales topped 1 million units. Ford was a genius. But how did he know that his decision to increase wages and shorten the workday would pay off when his advisors said no? 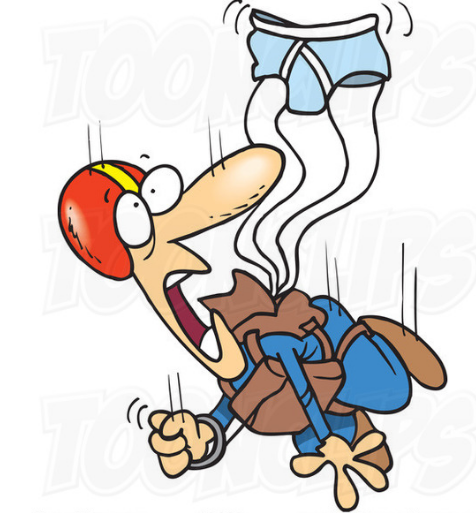 For decades I have been fascinated by how and why people can support making risky decisions in their life and in their business, especially when those decisions can have colossal impact on people in the line of fire so to speak. So I decided to take a closer look, and after some study of dozens and dozens of major decisions made by major decision-makers over time, I discovered that most ‘good’ decisions consider 6 common principles. I call these principles The 6 Key Principles of Decision, and (by way of first introduction here) developed and arranged them in a circular step-by-step easy to follow flow chart that made the most sense. 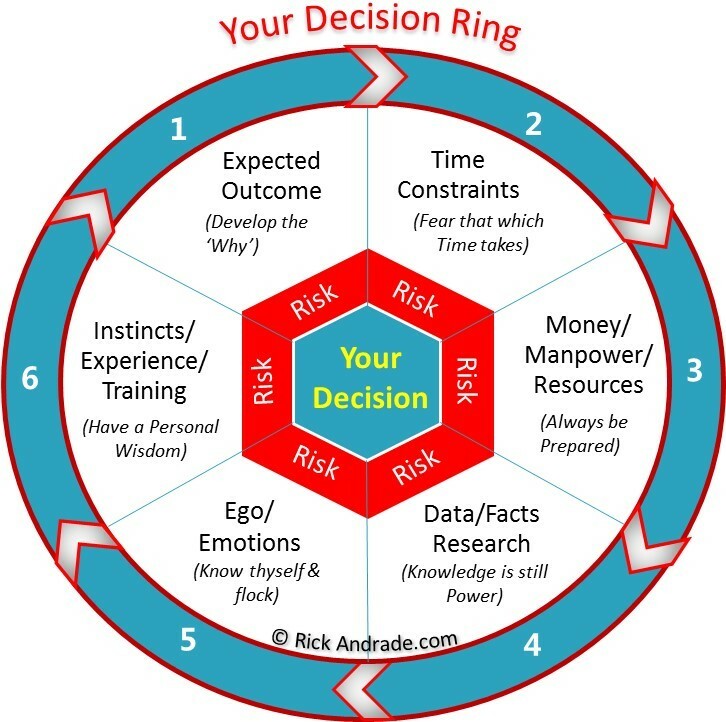 I call this new framework a “Decision Ring,” and by using it I discovered how CEOs in business and life can not only make better decisions going forward, but also learn how and why some prior decisions turned out so unexpectedly bad. I identify the six key principles as ‘principles’ rather than “rules” because while a rule is meant to compel your actions, a principle is meant to motivate deeper thought. Not often in business do CEOs have to make life or death decisions but often enough the key decisions they do make can dramatically affect the lives of employees and their families. In bad economic times most of these decisions come by way of layoffs in the face of declining sales, or a merger. More infrequent are those key business decisions like Henry Ford’s that can overnight change the lives of hundreds of assembly line workers. Fast forward to April 2015, credit card processing company Gravity Payment’s CEO Dan Price decides to raise his company’s base annual salary to a minimum of $70,000, which gave raises to 70 staffers and doubled the salary of 30 more. His explanation; A Princeton study that showed employees who make more money have a greater sense of “emotional well-being.” And in turn that emotional well-being makes employees better at their jobs, and more productive. To me, that sounds like Henry Ford’s decision instincts at work. Clearly today, in a time where technology is lowering the cost of labor and eliminating jobs altogether, raising wages seems counter intuitive. But is it? Well that depends on Principle #1: Developing the ‘Why.’ When Dan Price made his decision clearly he had an Expected Outcome in mind that employees at Gravity Payments would happily stick with the company longer, and produce greater returns; a risky move right? In other words, it hardly matters that an important decision be a matter of life, death, hiring, firing or giving everyone a big fat raise. Because what really matters is that the decision-maker includes all six principles and the weighted risk that each brings to the table before pulling the trigger. In business, more of this approach is evident in practice because most CEOs look for consensus from a Board of Directors; implicitly a contemplative decision-making body. 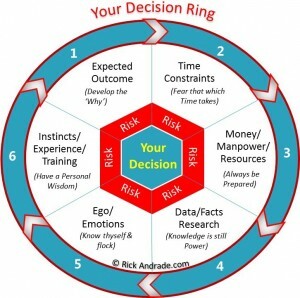 But often enough many leaders must take it on themselves to make key decisions, knowing all too well that going it alone and getting it wrong can have widespread consequences, both in life and business, and it is for these decision makers that I created the Decision Ring. So what is a Decision Ring and how is it used? Let’s take a closer look. The idea is to start at Principle #1 Developing the ‘Why” which is the Expected Outcome of your decision. This before moving on to Principle #2 Fear that which Time Takes which is to understand (good or bad) your decision’s particular Time Constraints, etc, on around the Decision Ring engaging each principle all the while revising the ‘Why’ (your Expected Outcome), each step along the way. In my experience, using this approach can help ensure that no significant factor in your key decision goes over-looked or over-emphasized. Used properly, the Decision Ring framework can be used as both a tool and a process to ensure that the decision-maker and/or advisory team is indeed considering all 6 principles in the expected outcome, and not just one or two as the case may be. On January 10th, 2000 AOL and Time Warner announced they too would be married. That combination was valued at more than $350Bil including debt according to reports. Back then the internet was quickly evolving and the new “dot com” craze was in full swing. Jerry Levin CEO of Time Warner seemed to panic, faced with a real dilemma on how a giant content owning and producing media company should advance in an online world. At the time AOL, headed by former marketing consultant CEO Steve Case, was a huge hit with internet newbies by leveraging its “You’ve Got Mail” email system and easy-access online portal. In 2000 AOL had 20+ million subscribers and the money-losing company was valued by Wall Street at an astonishing $163 Bil (sound familiar? ), twice the size of Time Warner in market cap. So then why did this merger fail? What did that Decision Ring look like to Jerry Levin back then, and what were the key drivers that lead to the final decision to accept the AOL offer only to later find it was according to Jeff Bewkes, who became Time Warner CEO in 2008, ‘the biggest mistake in corporate history,’ as a host of issues conspired to make it fail? Let’s take a quick look at our Decision Ring and see if we can spot the trouble. Principle #1 Developing the Why; the Expected Outcome was that Time Warner would be able to sell all its content to millions of AOL subscribers and hence both subscribers and earnings would increase dramatically, thus increasing the market cap of the marriage to an eye-popping $350Bil. To the two CEOs at the time this was likely a good enough reason to do the deal alone. So let’s move on. Principle #2 Fear that which Time takes; and know your Time Constraints. In 2000, the internet was young, and just getting access to it was a hot pursuit for Americans. In fact, the “adoption rate” (speed) by which Americans wanted to gain access to the internet was unprecedented. 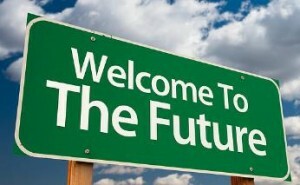 Unlike nearly any time in history Americans were “dialing up” the internet to see the future unfold. This was pretty powerful stuff back then. So the pressure to identify and secure a go-forward strategy was at a fever pitch. Principle #3 Always know your Numbers; this includes Money/Manpower and Resources to either complete the deal, or survive a failure. So was this principle considered? Both AOL and Time Warner had plenty of stock value to do a deal. And given all the dot com rage back then, AOL seemed like both an online juggernaut, and future cash cow. To them the numbers seemed to pencil out. Principle #4 Knowledge is still Power; and here is where the deal blows up in my view and had they used a Decision Ring it would have been obvious. It’s the technology stupid. At the time AOL was using first generation internet access called “dial up” which uses old-fashion telephone wires. Copper telephone wires made access slow, and content downloads repeatedly difficult to complete. Meanwhile regional cable companies were experimenting with something new: ‘Broadband’ cable internet access. I know this personally because I was living in one of the first cities in the country (back in 1996) to get ‘online’ using broadband cable vs telephone-line ‘dial-up’ service. The download speed difference between the two was nothing less than game-changing. Broadband (cable) technology enabled users to download internet files at a lightning 10Mbits (bits per second) back then. While dial-up (before DSL) was painfully slow at 56kbit/s (bits per second). And once the word got out, AOL was in trouble. Subscriber growth declined fast, and AOL had few technology advances in place to stop the bleeding and increase dial-up speed to its millions of subscribers. And once the dot com bubble burst, the marriage was in trouble. Principle #5 Know thyself & flock; because your Ego and Emotions can take logic and reason away from you faster than you think. And, at the time the AOL-Time Warner merger was the largest in recorded history. The attention to that alone must have been quite an ego boost to Levin and Case. This was a first of its kind marriage between of the real world and the online world. No one really knew what to expect other than when all was approved by the FTC and SEC, the combined company would have a market value of more than $350Bil. Acting on ego or emotion alone can turn a good merger into a nightmare. But you can recover as many do given the other 5 Principles achieve the Expected Outcome for you. Principle #6 Have a Personal wisdom; that stems from your Instincts/Experience & Training. This one is the hardest because your instincts are generally based upon your prior experience and training. Remember the phrase “been there done that?” In this case, given the sense of urgency to button-up AOL before another company did, perhaps, over-shadowed the fact that AOL was entirely overvalued, and that its true value in the future was being brought forward at a premium valuation based on old technology. That should have been THE major risk factor and maybe it was, but dot com hysteria back then was too strong of a force to let wisdom reign. Which brings us full circle; to me the merger was a huge mistake, and history proved it so. But for what was a financial and cultural disaster, could have been avoided if CEO Levin and his Board of Directors used a Decision Ring process. So my advice here is to get your arms around your decision-making process by building out a Decision Ring that addresses the key questions behind each principle, and measures the risk and degree of confidence within each before you put your company and the lives of many people on the line. Do that and there’s a good chance that you too will find more reasons and better confidence to support and communicate to all ‘Why’ your major decisions in life and business turned out so well. Until then, stay tuned for more about Decision Rings in the weeks ahead as I apply the framework to some of history’s most famous decisions and the decision-makers behind the scenes who risked it all to make it happen. Want to get a Premium Price for your business? In most cases CEOs and business owners all want the same thing, top dollar, and why not ask a Premium Price for a premium business? That makes sense if we are all looking at the same thing. However, while many business sellers try to coincide the sale of their business with a hot seller’s market in hopes that a rising tide will lift all boats, the real price premium comes from within. As you know, most industries today contain a range of competing enterprises in size from start-ups to mature international companies. And in most cases, the pre-market value of each is measured as a multiple of EBITDA (earnings before interest, tax, depreciation and amortization). This multiple is based upon identifying and comparing prior sales of similar companies. However, what’s often overlooked in these company-to-company comparisons is the direct product-to-product SKU line item sales and margin growth factors. Why? Because product or service category growth comparisons is the big equalizer. If a smaller company outsells, and out-profits a larger competitor in a product-by-product comparison, the smaller company’s product line should receive a higher valuation to a buyer. This is why larger companies routinely pay premium prices for smaller niche market players with tremendous growth prospects. That’s because premium growth attracts premium value, period. The key to receiving a premium value is therefore a CEO’s ability to directly deliver on both incremental category and market-share growth per product, per year. The more successful a product line’s growth, the higher the valuation will go. When growth is above industry category norms or averages, for instance say above 10% annually, a growth premium as high as 20% could be added to your company valuation and potential transaction price in an M&A deal. This one gets a little tricky, because depending on size and industry, top performers who deliver on sales growth can also deliver on higher margin growth if they are able to sell higher priced goods and services. Nonetheless, big or small it’s your Gross Margins and EBITDA Margins which are perhaps the two most actively tracked and compared metrics against competitors and your company’s own prior period results. Once benchmarked, however, achieving margin growth every year is not easy. Input prices can change quickly, new competitors can enter the market, and frame-braking innovations can disrupt channel demand, among other things. But for CEO’s that do out-perform competitors and show steady margin improvements, let’s say from 5% to 10% or more each year above their competitors, they can expect as much as another 2 times EBITDA multiple or better in increased market value. Now that’s a premium price to market. Unfortunately, the opposite can also be true. Declining or stagnant margins will not excite a new buyer, especially in mature and declining industries. These companies use size and scale to overcome slow margin growth. And in this case bigger is better because larger companies have at their disposal more ways to reduce costs and leverage efficiencies such as robotic automation, and volume purchasing power discounts from vendors. Beyond these, growth in mature industries comes mostly via M&A transactions. And having industry leading margins across a competitive landscape generally means acquirers will pay up to get what you have. What’s in a name? Everything. For eons advertising and promotion have been the mother’s milk of most successful marketing campaigns. Whether your company is B2B or B2C makes little difference. Why? Because humans still make the purchasing decisions for nearly all business and personal consumption. eCommerce which got its legs in the roaring nineties did manage to automate procurement into eProcurement and thus removed most human interference. Still, until computers make all purchasing decisions, companies of all sizes must still aggressively promote their brands to new and existing customers or risk decline. This is where mature companies with mature product line brands can stay on top with large marketing and promotion budgets. When it comes to branding, having lots of money to get the message out can lead to early sales success. As new market entrants introduce new product and service innovations, mature companies can always and will always counter attack any way they can, including an outright purchase of the offending competitive threat rather than out-spending them on marketing. Perhaps, most noticeable today is the premium market valuations put on high-tech companies whose ability to promote and sell their brand (think Apple, or Facebook) can quickly lead to out-sized sales and market-share growth. This is what a powerful brand can do when it works. However, often times smaller companies who do understand the benefits of a strong brand can quickly over spend, destroy value, and still fail to establish or sustain a profitable growth trajectory. Developing a strong brand does not necessarily mean spending truckloads of money on pitching your product line, rather what buyers who pay premium prices want to see is a strong brand that provides mostly the repeated promise and delivery of a satisfying transaction between two parties. Without that, few brands will add meaningful improvements to corporate market valuation. On the other hand, if your company’s products and services are growing at a healthy clip year over year, a considerable campaign effort to increase the value of the brand itself makes perfect sense, and can in turn increase company value substantially. The bottom line here is that having a higher level of brand recognition can translate into a premium price valuation. Make sense? So to summarize, the overall Valuation of a business is what humans perceive the value is of the company’s products and services, and the promise of a consistent repeat performance. Getting a premium price in an M&A transaction is not about what your company’s past accomplishments were, although that’s important, rather from a buyer’s perspective to get a premium valuation depends on how well they see themselves earning a profit standing somewhere in the future in your company shoes. So if you are considering the sale of a business, make it easy. Before you consider a merger or acquisition value above and beyond what a hot or cold M&A market multiple will offer, look to improve these 3 key valuation metrics above first. That’s where the real premium comes from. The SEC has now approved new rules for raising private company funds based on provisions in the JOBS ACT passed by Congress in 2012. 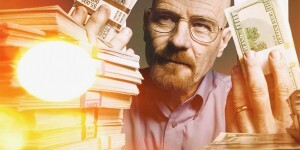 Have a look at this article and learn how you can raise up to $50M for your company. Do You Know Your CEO Decision IQ? On a cold day in De troit January 5th, 1914 Henry Ford made a decision that would change history. He decided to pay his assembly workers more than twice the going $2 per day wage at the time in a desperate attempt to stem worker turn-over, and reduce errors fast. The result was an American first; a new 8-hour work day paying an industry shocking $5/day ($120 today). That decision would not only improve workers’ lives, but also sent immediate shock waves throughout the industry and minds of all of America’s big industry CEOs back then. But what did Henry Ford know to make his risk-it-all decision in time to turn things around? And if he didn’t understand the impact of that decision, would Ford Motor Company still be here today? Not sure. But as that was then, and this is now, today’s chief executives must go well beyond whether or not the impact of a decision over time achieves the right results. More importantly and less well discussed, is the speed at which Ford’s decision did achieve the intended results. I call this measure the “Elasticity of Company Decisions” which is by my definition “the measurement of how responsive a CEO’s decisions are to the expected rate of change from those decisions.” Think beyond time vs money, or price vs quantity, as traditional measures of elasticity. In this case it’s the speed vs accuracy of a CEO’s decision. So how does a company’s decision elasticity impact a business? This depends on a CEO’s Decision IQ, which is to say how well a CEO can understand and predict the elastic-response of a major decision on his or her company. Let’s take as an example two CEOs of different but competing companies. Each CEO makes the same decision at the same time, perhaps to shift marketing strategy as a reaction to falling sales, or review an opportunity to acquire a competitor. Over time, if one CEO has a very elastic organization vs the other then the speed and accuracy of that decision (as it flows throughout the enterprise) creates an inherent competitive advantage. In this case, especially in its ability to evaluate and execute as a single workforce moving in the same direction. Think start-up vs mature company. When workers are more quickly on the same page, things can often get done much faster than a competitor has time to react. Thus as an observer — can we determine in advance which chief executives have built up the right elasticity level in their organization? The answer in part depends on what we know about the good or bad elasticity factors each CEO has layered into the management structure of the business over time. Peter Drucker (the management guru) discussed this issue in his book, Concept of the Corporation (1949) based on reviewing the organizational and decisional structure among other things inside the General Motors Corporation back then. His suggestion was to flatten the organizational hierarchy to maximize the impact and efficiency of GM’s management decisions. CEO Alfred Sloan at the time however, took the insight as criticism of his management approach, and rebuffed it. Today Sloan might be let go for his lack of insight. He was in effect suggesting that any decision, like Ford’s would have the same immediate and lasting shareholder benefits no matter how big or bureaucratic GM would become. Now, consider that none of this is new. In fact there are dozens of books written about flatter organizational and management structures and the benefits they accrue across the board. But that is not my point. My point is to teach CEOs at companies big and small to identify their Decision IQ and use it to their advantage or improve it. As an M&A investment banker I see this advantage (or disadvantage) repeatedly with CEOs and Boards of Directors at companies we consult to. What I see is that the higher a company’s decision elasticity the higher the profits, growth and enterprise value, not to mention the benefits of more expeditiously communicating any needed shift in corporate mission statements or goals. Conversely, when I see a company’s elasticity factor is too low, meaning the company has a large built-in latency (delayed) response factor, important CEO/Board level decisions can take days, weeks or even months to make things happen. And when that’s the case, it’s time for a change. Discover your Decision IQ. And improve it by building a spreadsheet to test-measure your company’s decision elasticity by tracking the announcement date of each major decision, the number of managers that need to take action and the time it takes to get the desired results. If the results measured are poor, chances are good you may be unwittingly turning a good decision into a bad one. But, on the other hand, if your company’s decision elasticity and IQ factor is top-drawer, you can like Henry Ford, use this edge to beat the competition, increase the value of your company, and improve the lives’ of your workers too. Make sense? Now, could all these promising business and economic indications together be an aligning of the stars, or a mere coincidence? Most were already trending higher, albeit slowly with fits and starts for several years. But it seems the sudden drop in gasoline prices at the pump has awoken a sleeping giant; that is the US Consumer Economy. And this awakening in my view is that which will make 2015 the best year in seven to sell a business. The catalytic drop in Crude Oil and Natural Gas prices is already driving a profit-boosting ripple effect for nearly all consumers and businesses by dropping the high cost of energy. The result is the multiplier effect, that is to say, the “animal spirits” of nature and markets that will lift demand and profits further. Think about that. Higher profits mean higher business valuations. And given the perpetuating low cost of borrowing, and abundance of idle cash still sitting on Corporate USA balance sheets while it lasts, the planets have aligned, and that means a spectacular new seller’s market will likely soon follow in 2015. If you following me on LinkedIn you may recall my recent article A Decision Tree Exit about When to sell a Business. In it I thought to address why, given the many moving parts and considerations that go into a decision to sell or not, most CEOs get paralyzed in the process which grinds their efforts to a halt. So I tried something different to help loosen things up, at least on paper. I used a tool from business school called a Decision Tree to actually quantify the many choices a business owner must make to get from A to Z. A Decision Tree links several potential outcomes together, and puts a value on each path to find the best route forward. Using this method the model showed that the more I knew for certain about my business and industry trends, the higher value resulted from each decision. For instance, given the strong data points above instead of a 50-50 chance the market would go up in 2015 I changed it to a higher 80-20 chance. The model, in turn, produced a much higher value decision to sell in 2015. Absent that higher chance, the decision to sell in any given year was less compelling [see the model]. Can anyone predict the future, even a mere 6 months ahead? No. But absent any specific knowledge about a downside trend in key market dynamics, or in your business more specifically, 2015 is very likely to see the planets align for business owners. And that could in turn drive up valuations and make exploring the market for a potential sale in the months ahead a stellar move. —— About the author: Rick Andrade is an investment banker at Janas Associates in Pasadena, Ca and finance writer in Los Angeles helping CEOs buy, sell and finance middle market companies. 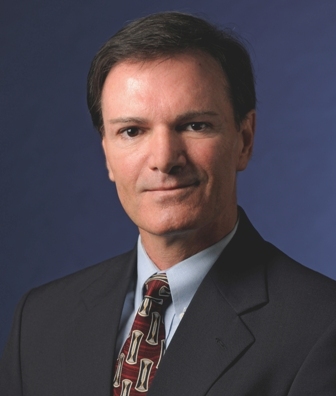 Rick has earned his BA and MBA from UCLA along with his Series 7, 63 & 79 FINRA securities licenses. He is also a Real Estate Broker, a volunteer SBA/SCORE instructor, and blogs at www.RickAndrade.com on issues important to middle market business owners. He can be reached at RJA@JanasCorp.com. This article is for informational purposes only and should not be considered in any way an offer to buy or sell a security. Securities are offered through JCC Advisors, Member FINRA/SIPC. Some of the oldest and most respected things alive on this planet are trees, very old trees. 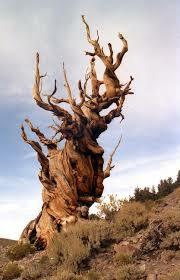 The oldest is called Methuselah, a Bristlecone Pine tree, which sits ten thousand feet up in California’s White Mountains 100 miles north of Mt Whitney and is said to be 5,000 years old. Methuselah is nature’s most resilient form of wisdom indeed. But there is another kind of tree just as wise if you know how to navigate its branches. 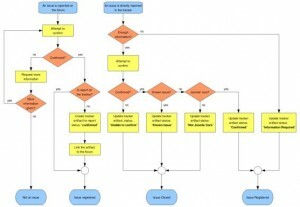 It’s called a Decision Tree, and as an investment banker helping CEOs sell their businesses, I thought I would create a Decision Tree to help business owners decide when to exit and sell their business. Decision Trees are not new. 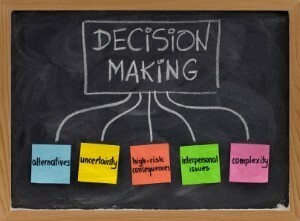 They are a well utilized decision-making tool used in dozens of ways. 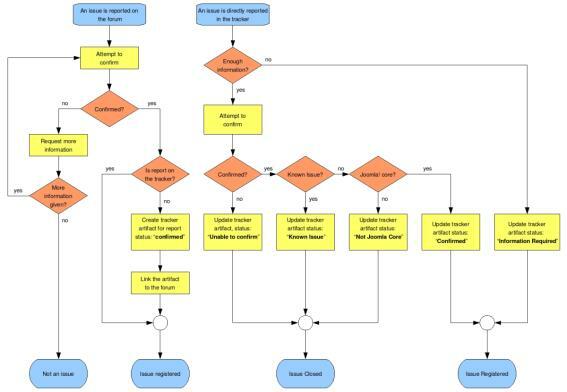 The concept of a Decision Tree is to lay out a series of branches on paper that quantify the expected value of each possible event that could happen. Each branch from tree trunk (decision) to branch tip (value) is essentially measuring a series of choices a CEO could make. Decision Trees are used in many industries including oil & gas exploration. There, for example, each tree branch helps quantify the risks and rewards (chances) of finding large oil or gas deposits underground. But Decision Trees can be used for nearly any problem. The key is to know what to ask, and how to guesstimate the probability of each outcome. 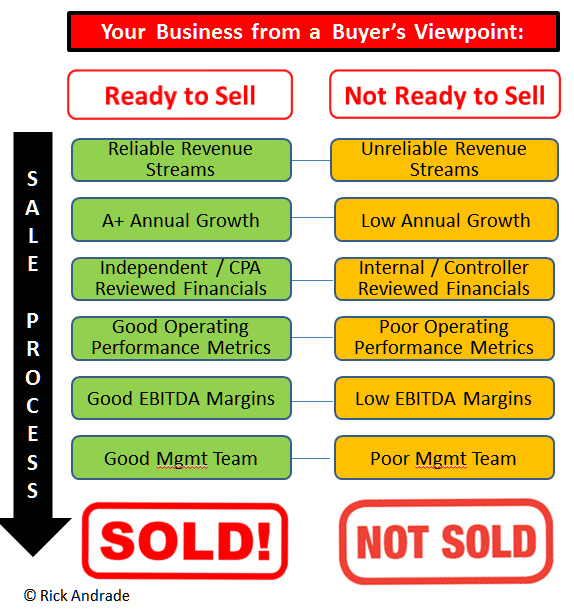 To test my own mechanical Methuselah, I created a Decision Tree based upon a few basic assumptions for sales and EBITDA, and a few typical options or paths a business owner might include in his/her decision to sell or not. For example, assume a manufacturing company with $50M in annual sales has $10M adjusted EBITDA (earnings before interest tax & depreciation). The key decision I was seeking to determine in this tree was whether to Sell Now, or Wait 1yr (see graphic). Selling now or waiting is one of the oldest most common questions I get from clients. While no business owner wants to sell at the wrong time, many naturally feel anxious about waiting too long and selling into a down market. So, in turn, I added a 50-50 chance tree branch that the business could improve 10% or decline 10% over the next year, and a 50-50 chance tree branch of a good market or a bad market. And these are but a few of the many common issues owners face before exit (see the list below for more.) In this simple way, these few potential outcomes are all you need to get started. From this point building out my tree is a matter of assigning probabilities and calculating the value of each branch. The more accurate the probabilities the more accurate the resulting value of the decision. In my example (attached) the probabilities I assigned to each potential outcome stems from my personal experiences and those of other investment bankers and colleagues. Finally I calculated the values of each tree branch and tallied up the value of whether to sell now or wait. But to my surprise the result threw me for a loop, and here’s why. In my Decision Tree the values of the choices to proceed and Sell Now or Wait 1yr were nearly equal. In other words, absent of any key insights particular to an industry or business, a business owner should not fear waiting 1 year vs selling now in order to maximize price. The reason for the near equal value of the outcome in my example I discovered later was the 50-50 chance I gave my business to grow 10% next year. If that happened, and the market remained constant, my business value could be higher next year. On the other hand, if I instead anticipated a flat or declining sales forecast next year, the choice of Selling Now may produce a higher value decision. And this makes sense. What if I get sick before I retire? What if my business needs a large capital equipment investment to stay competitive? What if I lose access to my lending resources? What if I lose a key account or manager to a competitor? What if I see my competitors consolidating? What if I received an offer to sell now from a Private Equity group? The idea here is to rank these in importance and put a value under each as a branch with probabilities. From there a Decision Tree that includes the likelihood of each possibility begins to grow and take shape. This may help the many thousands of business owners who come to market only when things go wrong, or worse, when they get sick, and need to find a buyer. These sellers don’t have a Decision Tree to make, but rather face the market when the time comes. A situation no business owner should have to face prematurely.